They're some of fiercest and most frightening pests you can encounter. Wasps, yellow jackets, and hornets are aggressive flying insects that seem designed to pester, or even terrify, humans. So what can you do to defend yourself against these winged stingers? Hire pest control companies in St. Augustine to deter them, kill large nests, and keep you safe. But it helps to know more about dangerous flying insects, including wasps, yellow jackets, and hornets. Just as the best termite control depends on knowledge of their traits and behavior, knowledge of these stinging flyers can help you defend yourself against them. Read on to learn some important information. Yellow jackets are carnivorous insects that feast primarily on other insects. They do so to stock up on protein and help develop young larvae in their colonies. While they are helpful at controlling other pest populations, ingesting insects like caterpillars that eat garden plants, they can be aggressive toward humans. This is especially true later in the year, when their diet changes to include more sugars. They'll start to hover around outdoor trash cans and may even be attracted to sweet scents of food you carry or body care products you use. Unlike bees, yellow jackets can sting you multiple times without dying, so they'll sting you if you approach their nest or if you try to swat them away when they visit your picnic. They tend to nest in the ground, and their large nests can contain up to thousands of aggressive members. These social wasps form large colonies. However, they tend to nest above the ground. Like yellow jackets, they have painful stings and can sting you multiple times. However, paper wasps are less likely to scavenge for food, so they may not linger around you when you're outdoors, nor will they try to get into your trash bin. They get their name from their ability to build nests out of a pulpy mix of saliva and wood grain. They are likely to build these nests on your porch ceiling or even hanging directly from a doorway. These nests often resemble umbrellas. Like the two above types of fliers, hornets also form colonies. They nest above the ground and have highly painful stings. Hornets tend to have wider heads and abdomens than yellow jackets or paper wasps. Some types of hornets have been known to have deadly stings, especially to those who are allergic to them. They like to nest in piles of discarded wood. Like termite control, it's essential to hornet control that you avoid leaving piles of tools, plywood, or discarded plant branches in your yard. Like the best termite control, the best pest control of stinging fliers depends on professional assistance. 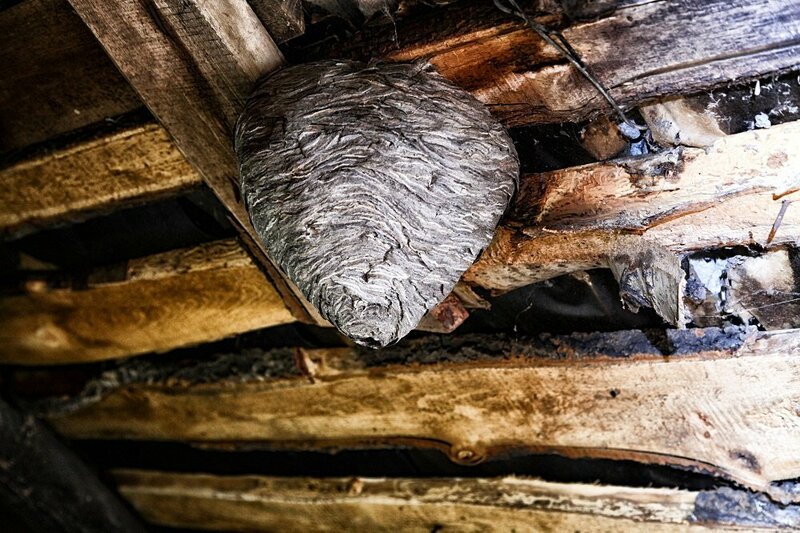 While you can attempt to eliminate yellow jacket, paper wasp, or hornet nests on your own, you're at high risk of being stung simply by approaching the nest. Also, because they nest in large populations, your efforts may be in vain. 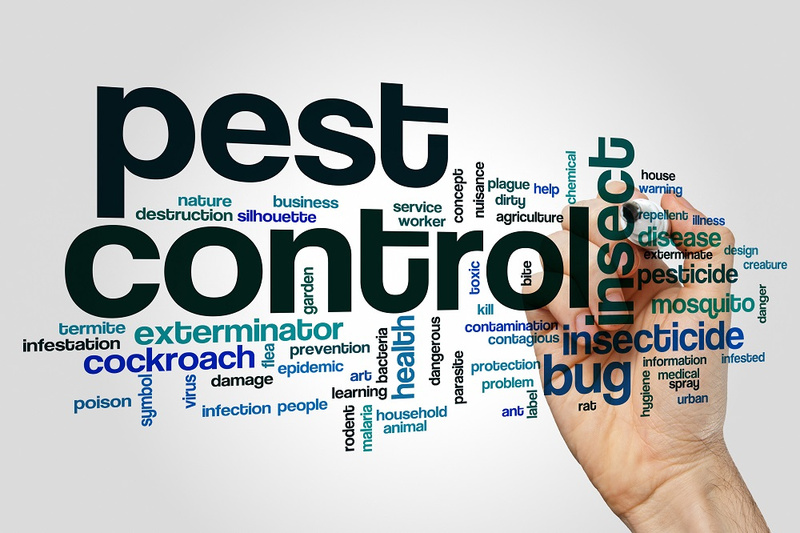 Termite control and the control of other dangerous pests is best handled by those with experience, training, and technology for defeating stinging insects. As one of the best pest control companies in St. Augustine, Champion Termite & Pest Control can help keep you and your family safe from dangerous insects like those in this article.